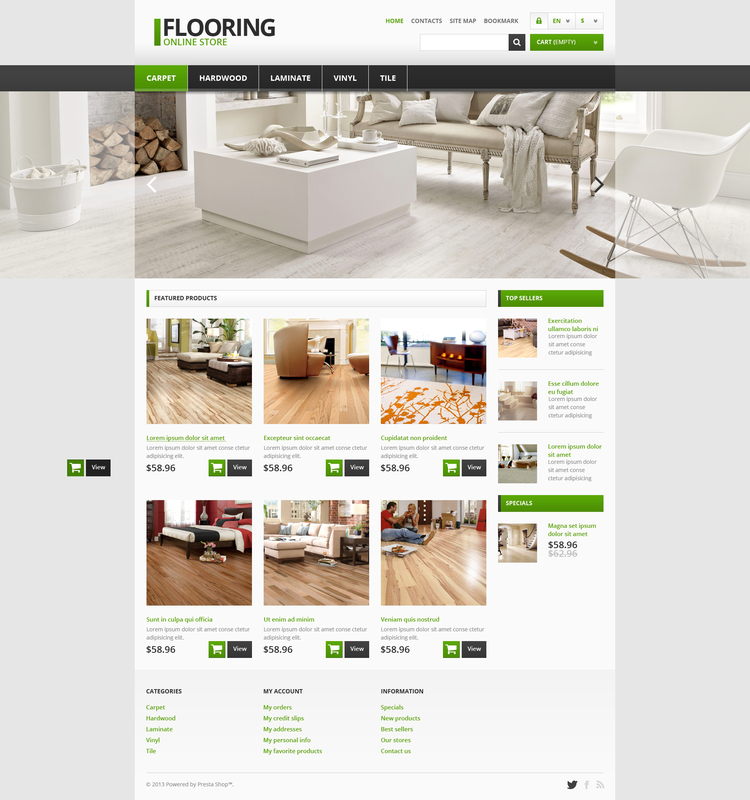 Lasting, quality flooring is very important either for home or office premises. Best solutions are demonstrated in slider gallery. Featured products look rather impressive over the white background. They are supplied with prices, descriptions and two flat call-to-action buttons. Top sellers and Specials blocks are in the right sidebar. Footer links supplement main drop down menu.